Maldives was long a sultanate, first under Dutch and then under British protection. It became a republic in 1968, three years after independence. President Maumoon Abdul GAYOOM dominated the islands' political scene for 30 years, elected to six successive terms by single-party referendums. Following riots in the capital Male in August 2004, the president and his government pledged to embark upon democratic reforms including a more representative political system and expanded political freedoms. Progress was sluggish, however, and many promised reforms were slow to be realized. Nonetheless, political parties were legalized in 2005. 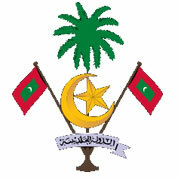 In June 2008, a constituent assembly - termed the "Special Majlis" - finalized a new constitution, which was ratified by the president in August. The first-ever presidential elections under a multi-candidate, multi-party system were held in October 2008. GAYOOM was defeated in a runoff poll by Mohamed NASHEED, a political activist who had been jailed several years earlier by the former regime. Challenges facing President NASHEED include strengthening democracy and combating poverty and drug abuse. Maldives officials have played a prominent role in the international climate change discussion (due to the islands' low elevation and the threat from sea-level rise) and on the United Nations Human Rights Council. Tourism, Maldives' largest economic activity, accounts for 28% of GDP and more than 60% of foreign exchange receipts. Over 90% of government tax revenue comes from import duties and tourism-related taxes. Fishing is the second leading sector, but the fish catch has dropped sharply in recent years. Agriculture and manufacturing continue to play a lesser role in the economy, constrained by the limited availability of cultivable land and the shortage of domestic labor. Most staple foods must be imported. In the last decade, real GDP growth averaged around 6% per year except for 2005, when GDP declined following the Indian Ocean tsunami, and in 2009, when GDP shrank by 3% as tourist arrivals declined and capital flows plunged in the wake of the global financial crisis. Falling tourist arrivals and fish exports, combined with high government spending on social needs, subsidies, and civil servant salaries contributed to a balance of payments crisis, which was eased with a December 2009, $79.3 million dollar IMF standby agreement. However, after the first two disbursements, the IMF withheld subsequent disbursements due to concerns over Maldives' growing budget deficit. Maldives has had chronic budget deficits in recent years and the government's plans to cut expenditures have not progressed well. A new Goods and Services Tax on Tourism (GST) was introduced in January 2011 and a new Business Profit Tax is to be introduced during the year. These taxes are expected to increase government revenue by about 25%. The government has privatized the main airport and is partially privatizing the energy sector. Tourism will remain the engine of the economy. The Government of the Maldives has aggressively promoted building new island resorts. Due to increasing tourist arrivals, the government expects GDP growth around 4.0% in 2011. Diversifying the economy beyond tourism and fishing, reforming public finance, and increasing employment opportunities are major challenges facing the government. Over the longer term Maldivian authorities worry about the impact of erosion and possible global warming on their low-lying country; 80% of the area is 1 meter or less above sea level.